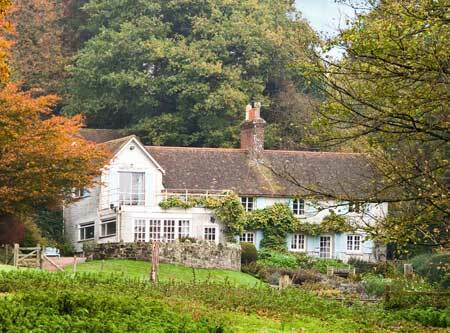 This delightfully secluded country house was for more than 40 years the home of Lt-Col Mike Lowry, who died in August aged 89. A distinguished soldier who won the Military Cross in Malaya in 1955, he fought against the Japanese in Burma and published an account of the war, Fighting Through to Kohima, which has just been reprinted by Pen & Sword. He later became involved in politics and survived the Brighton bomb. ‘My parents bought the house in 1964 when my father was still in the Army. It’s in a beautiful spot, overlooking the valley. When he left the Army in 1967, he farmed there and stocked the small lake with fish; he did a bit of dry fly fishing as well as hunting and shooting’ says his son, Robert. 5 bedrooms, 3 reception rooms, barn with stabling, garages, gardens, paddocks, woodland. 41.6 acres.